Now as they were traveling along, He entered a village; and a woman named Martha welcomed Him into her home. She had a sister called Mary, who was seated at the Lord’s feet, listening to His word. But Martha was distracted with all her preparations; and she came up to Him and said, “Lord, do You not care that my sister has left me to do all the serving alone? Then tell her to help me.” But the Lord answered and said to her, “Martha, Martha, you are worried and bothered about so many things; but only one thing is necessary, for Mary has chosen the good part, which shall not be taken away from her.” Luke 10:38-42This week, I’d like to focus for a brief moment on a story that may be familiar to many of you but one that over the last week has spoken volumes to me. The story is the one of Mary and her older sister Martha. Jesus was to be the invited guest in their home, and Martha was busy with all of the preparations and the duties involved in serving. Traditionally, the interpretation of this story, in my opinion, has been watered down. It is about so much more than Martha simply being “busy” working for Jesus and Mary choosing to spend time with Jesus. That point can be derived too, for sure, but I know for myself that when I stop and meditate on what this story is really whispering, the meaning of what it means to “be Jesus” to the world around us takes on a whole new dynamic. However, to see what is really taking place in this story, you have to know something of the culture behind this event. In their culture, women were not rabbis, and for a rabbi to allow a woman to sit at his feet would have been scandalous. It meant that you were recognizing this woman as an aspiring teacher in Israel. This was not acceptable. Now go back and reread Martha’s words to Jesus and listen to His response. But how does Jesus respond? Mary was being drawn to Jesus. In her heart, she knew this rabbi was different. She wanted not only to follow this Jesus but to lead others into becoming one of His followers too. Jesus saw this and recognized it in a way that would have made a significant statement to all who were present. Jesus was not going to allow “cultural” gender issues to be placed in Mary’s way. His kingdom was to be different. Something very special was happening in Mary’s heart toward Jesus, and Jesus’ treatment of Mary, according to first century standards in Judaism, is breath-taking. Later, Mary would be the first at the tomb. She would be the first to see the risen Jesus, and she would be the first to proclaim the message of the risen Lord. Mary was the very first to proclaim the Gospel message. Today, the issues of male versus female still abound in many churches, and although this eSight does not afford us the space to analyze the many times in Scripture that God makes concessions to cultural gender sensitivities, what this story does reveal is God’s ideal that — stripping away all of the concessions of God trying to reach cultures — in God’s heart, “there is neither Jew nor Greek, there is neither slave nor free man, there is neither male nor female; for you are all one in Christ Jesus” (Galatians 3.28). Strip away all the concessions, and you get a God who looks like Jesus. But what does this mean for those who claim to be followers of Jesus today? At the very least, it should awaken in us a sensitivity to the outsiders, the marginalized, the outcasts of our culture — those who are being told that they don’t fit in, that they don’t “belong” because of their gender, race, or social status. 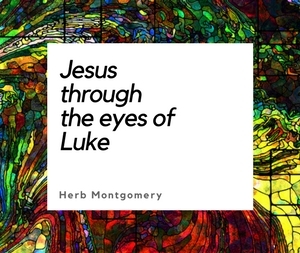 This story is a call to us, as followers of Jesus, to welcome all when it comes to “sitting at the feet” of Jesus, knowing that for Jesus, in His cultural setting, to allow Mary, a woman (and in other places, even demoniacs, see Luke 8:35) to “sit at his feet” means something. It should speak volumes to us today. Go out and love somebody Jesus-style this week, and Merry Christmas to each of you.